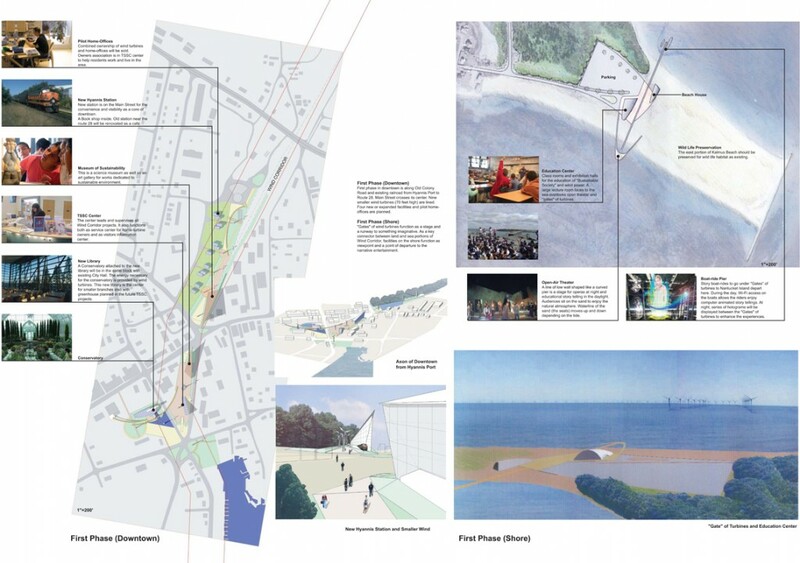 Finalist proposal for the WINDscape ideas competition held by Boston Society of Architects. This competition asked for designs to envision the proposed offshore wind farm on Nantucket Sound as something more than utility facility. PED proposed to create a sustainable society in Cape Cod by generating jobs through telework and by elevating its image as the most sustainable place. 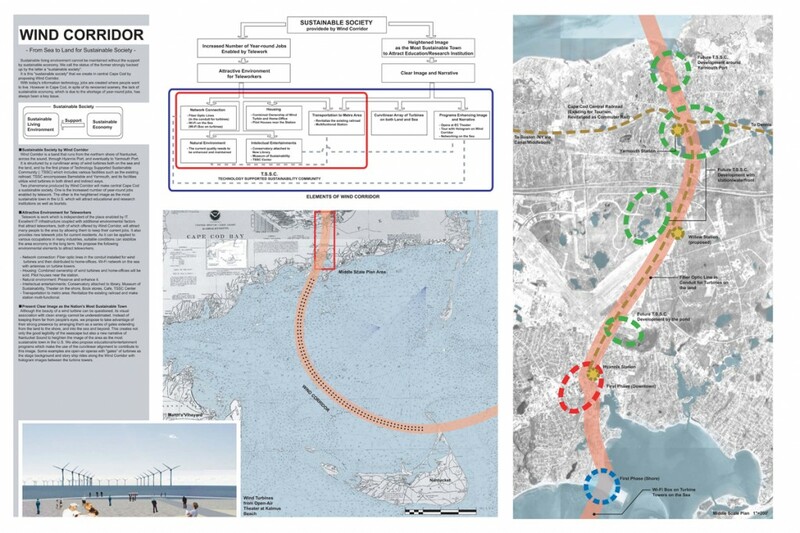 The title “Wind Corridor” came from the unique layout of turbines we proposed. We took advantage of wind turbine’s strong presence by arranging them as a series of gates extending from the land to the shore, and into the sea and beyond.